We are proud to be able to offer a customized experience to each individual who visits our site, as we take pride in delivering exceptional service to our clients, business partners, and teammates alike. The Advocator Group, LLC is proud to unveil a newly redesigned version of the http://www.advocator.com website. Key features of this new site include customized pages for both current and potential clients, business partners, and teammates. The new website was thoughtfully designed to tailor the visitor’s experience and ensure that relevant and engaging content is available and easy to find. The site’s homepage allows visitors to choose what resources are right for them, thus customizing their Advocator Group experience and ensuring that they get answers to their questions quickly and efficiently. The redesign also includes enhanced content, educational visuals, and simplified navigation that will speak to each visitor based on their particular questions, position, or potential disability needs. A new feature of the site is the RxCut® prescription savings card page (http://www.advocator.com/rx-savings-card). The Advocator Group began offering this prescription savings card completely free of charge in the fall of 2014. Since then, the card has been used over 4,000 times; users have saved a total of over $150,000, averaging savings of over 45% per prescription. The prescription savings card page features comprehensive FAQs, a link to the pharmacy search tool that helps individuals find the lowest prices in their local area, and information about how visitors to the site can receive cards via text, mail, or by printing directly at home. 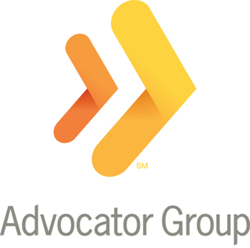 The new version of The Advocator Group’s website provides an easier experience for individuals from various backgrounds: clients and customers seeking information on their claims, individuals with questions about how to get started applying for SSDI or determining if they qualify for benefits, those who may be struggling financially and are searching for additional resources , and for potential teammates who want to learn more about working in the Social Security disability and Medicare fields. The redesigned site is available at http://www.advocator.com.